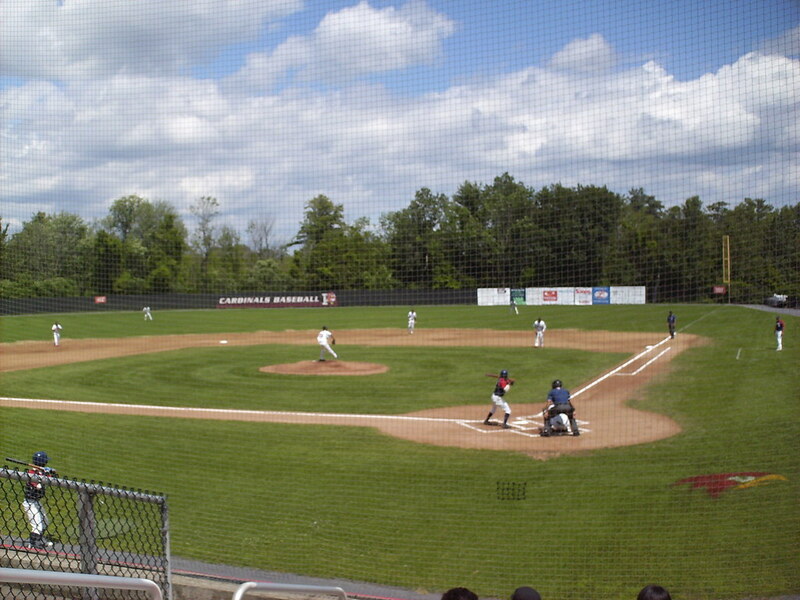 The view from behind home plate at Chip Cummings Field. 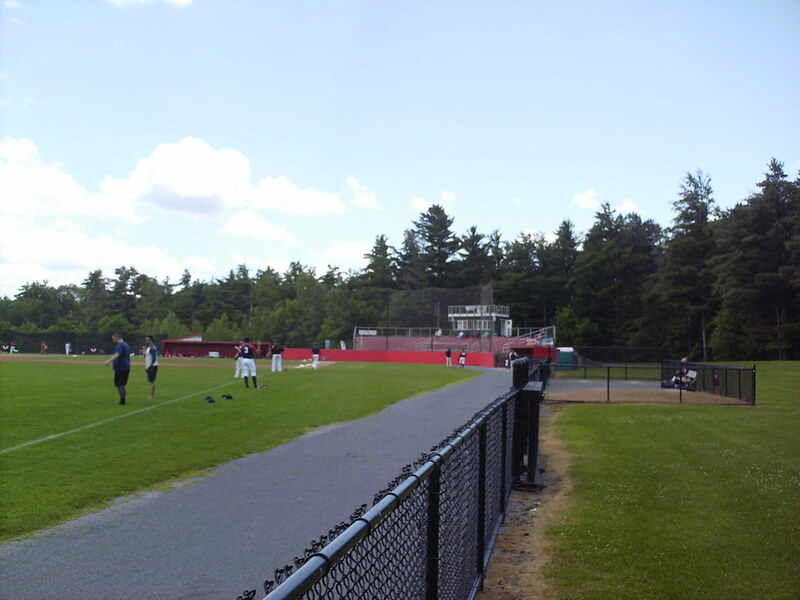 The grandstand at Chip Cummings Field, as seen from the left field corner. 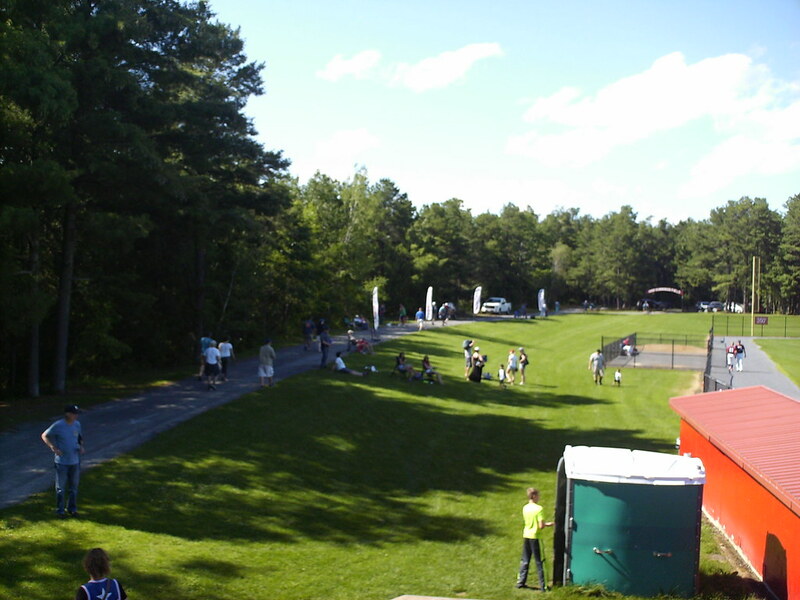 The view behind the grandstand. 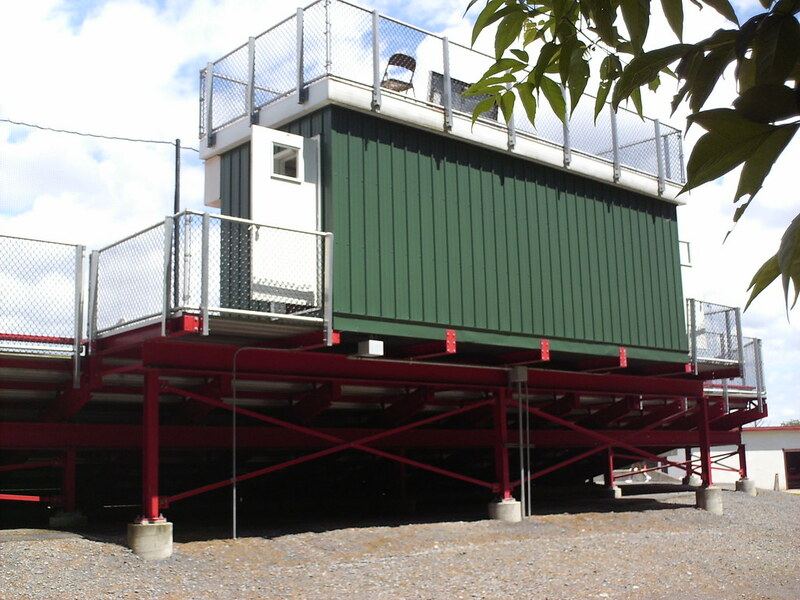 The pressbox sits atop the stands behind home plate. 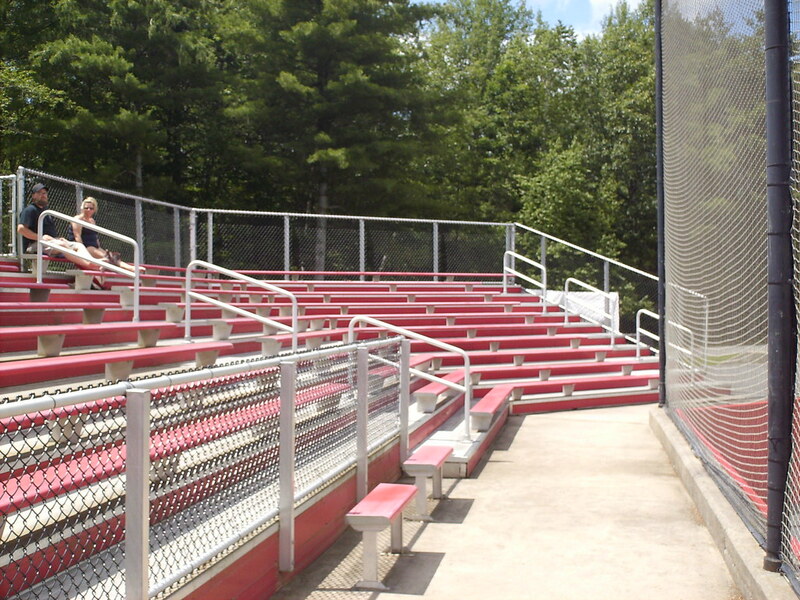 The grandstand is made of metal bleachers, with a wide aisle in front for handicap seating. 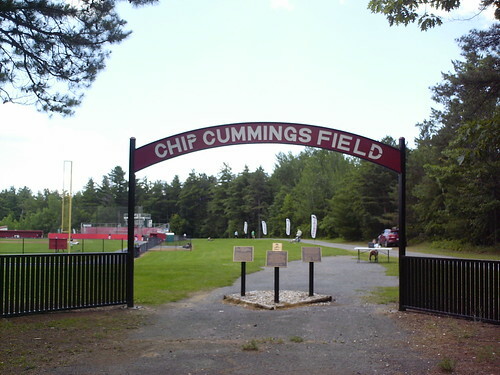 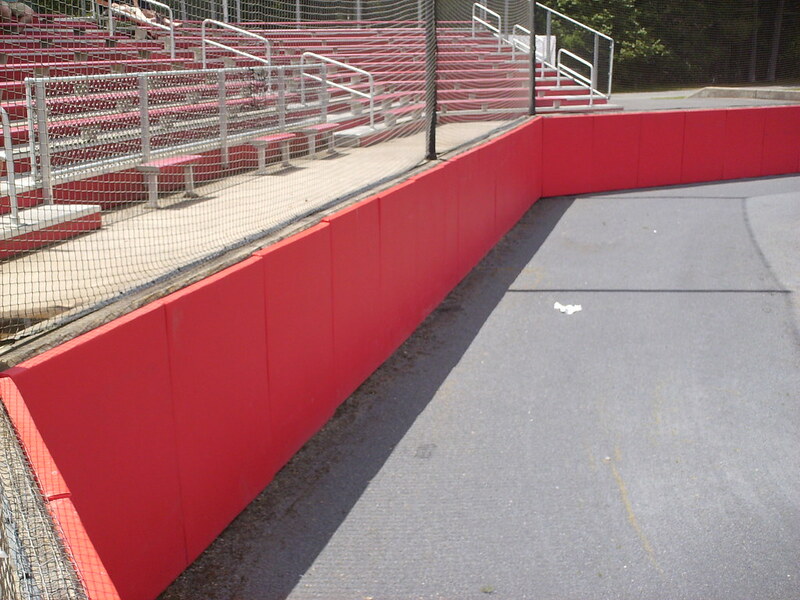 The backstop at Chip Cummings Field is tall, wide, and squared off. 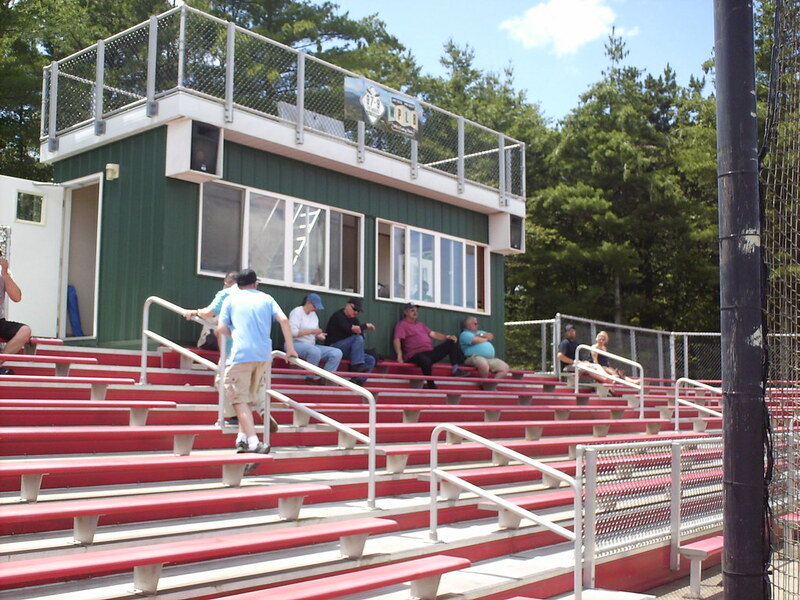 Fans set up their own chairs or sit on the grass on the wide berm that runs along the third base side of the field. 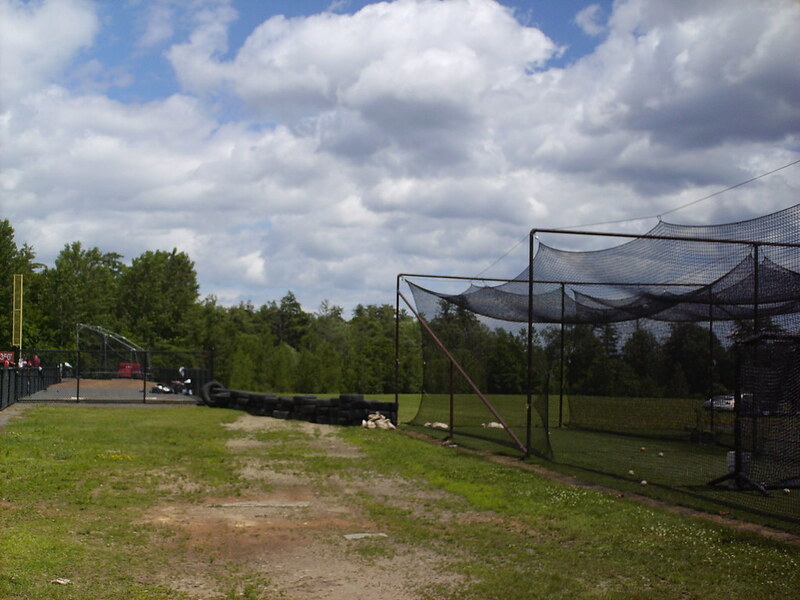 Batting cages and the home bullpen sit out of play on the first base side of the field. 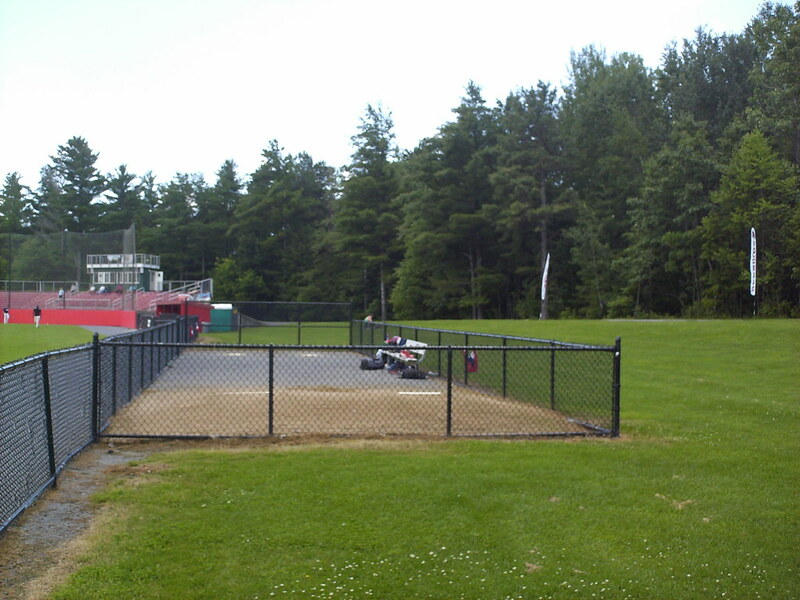 The visitor's bullpen sits on the left field berm, and pine trees wrap around the ballpark. 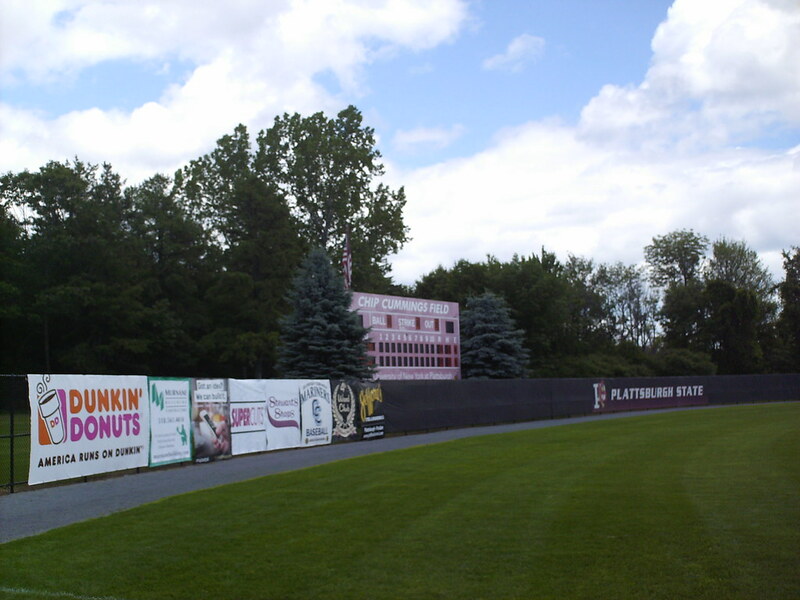 The scoreboard sits behind the left field fence, framed by pine trees. 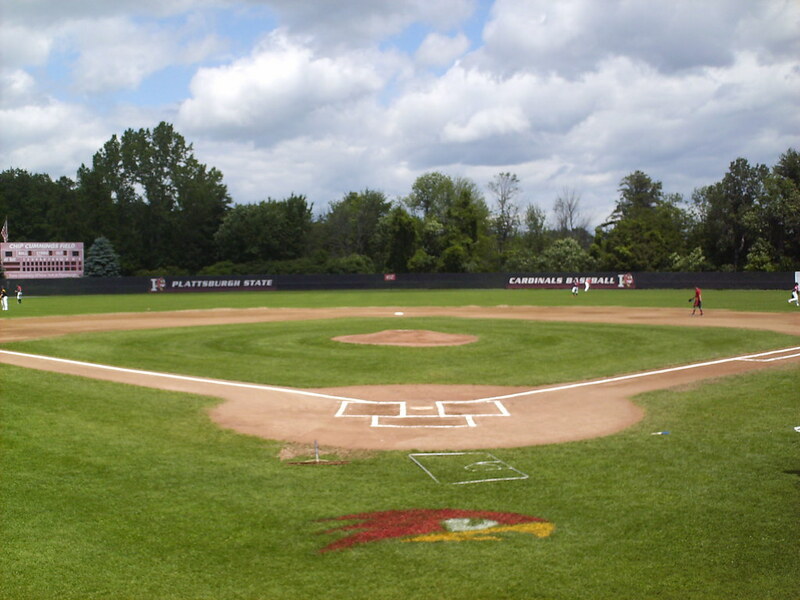 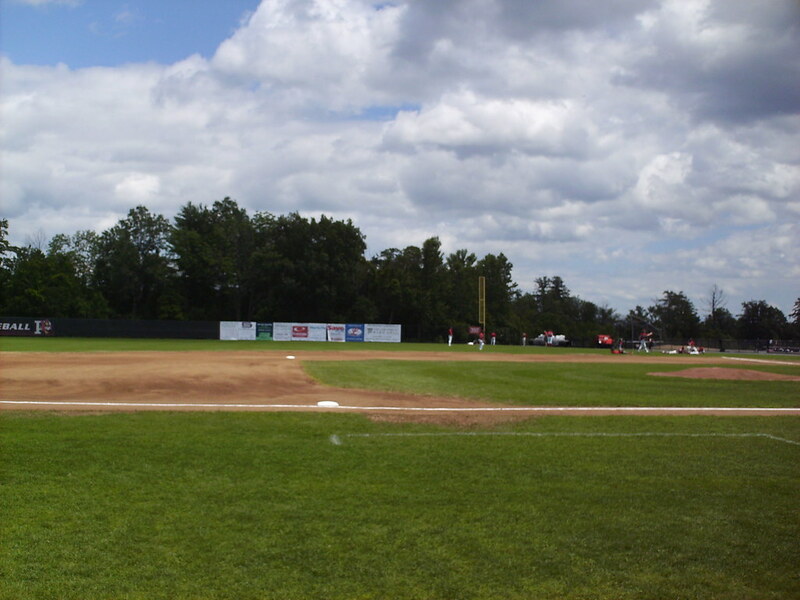 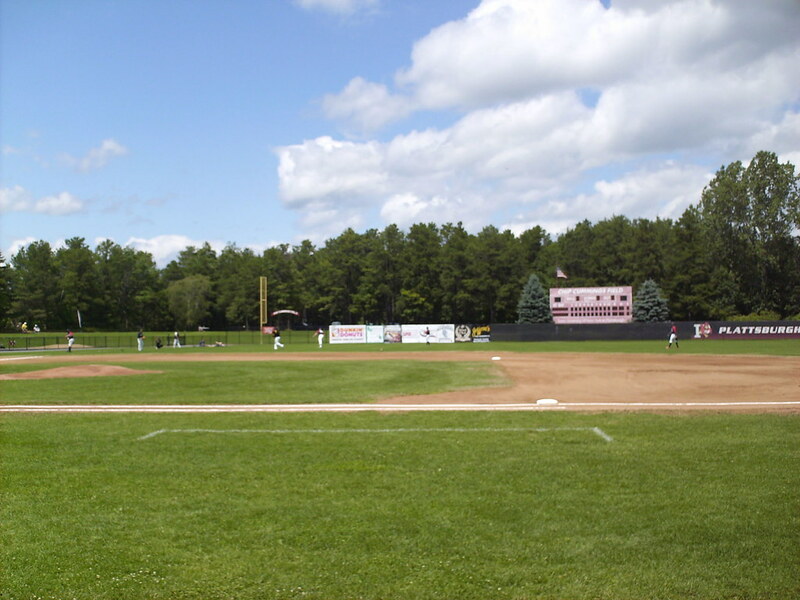 The Plattsburgh Redbirds on the field during a game at Chip Cummings Field.